In mission critical environments, you need to have absolute confidence in the systems at your command. For that reason, Compunetix has undergone rigorous testing to earn JITC Certification of our collaboration systems. From sensitive and secure calls to emergency alerting systems, we offer commercial quality conferencing across military markets. All systems are backed by our lifetime support guarantee and 24×7 x 365 assistance, and we never manufacture discontinue our products. We have a strong background of providing mission critical conferencing equipment for military command and control as well as missions within the US intelligence community. 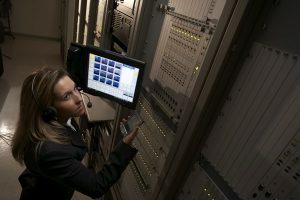 Compunetix can help protect and fortify your agency’s mission critical communications as well!